kc bob: Are you a black and white purist? Are you a black and white purist? Or do you, like me, wish that old films, like "It's a Wonderful LIfe", were colorized? 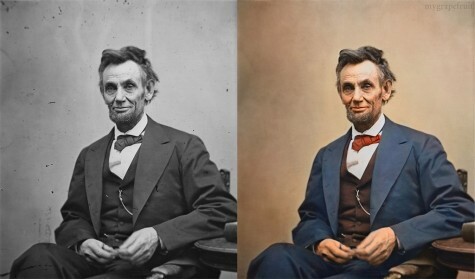 Do you think the colorized version of Lincoln better than the original? Or do you think that original photos are better left alone? Do you ever crop or touch up your digital photos? Or do you prefer to leave them as you photographed them? I am a black & white purist when it comes to certain movies from the past especially ones like It's A Wonderful Life and Miracle on 34th Street! Wonder how other movies of that era would have been in balck and white Debby? Thinking about Gone with the Wind and The Wizard of Oz. Cannot imagine either of them in black and white.